Sammak Dutta was my english and maths tutor for 9th and 10 th classes and at that time I was in Saint Cecilia School. He used to come to my place to take the tuition classes. There was a lot of improvement in my performance in English, he also helped me a lot in Computer science. His behaviour and communication skills were fine. He gave me a special discount as we know each other, otherwise he charges rs 30-400 per hour from other students. Akhil Sir , has been a thorough professional always on time and great mentor to me academically and very amiable as well. HE HAS BEEN A GREAT GUIDE TO ME IN IMPROVING MY ACADEMICS , WAS ALWAYS ON TIME AND VERY AMIABLE. He has taught me Mathematics and Science in Class X. He was not very strict and also had good knowledge of​ the subject. I scored 90 marks in both Subjects in boards. He is one of the best teachers I have come across as his way of teaching improved my performance and led to better understanding as well. Excellent teacher . Amresh Sir presently faculty of AAKASH INSTITUTE New Delhi. Specialist for Physics Numericals . Concepts are cleared and all doubts are also cleared. He have good combination of knowledge and teaching skill. He is good tutor.we are fortunate enough to get a good teacher.Besides being a good tutor ,He is a thorough gentleman also. hello friends my name is Rahul. I had done my intermediate from CBSE Board and done my graduation (BACHELOR'S IN COMPUTER APPLICATIONS) from MDU. I have a teaching experience of 5 years. Social science from class 1st to 10th. Myself Abhilasha. 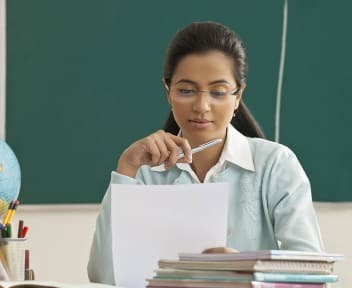 I can teach subjects social studies, science, English and maths upto 8 class. Looking to hire professionals near Mahavir Enclave?